Fiction. Who is Marvin K. Mooney? He has disappeared. Is he alive? Are his philosophical ramblings, puzzling poetry & heartbreaking confessions real? Let Marvin (or is it Christopher?) lead you on a hallucinatory and heartfelt search for identity. 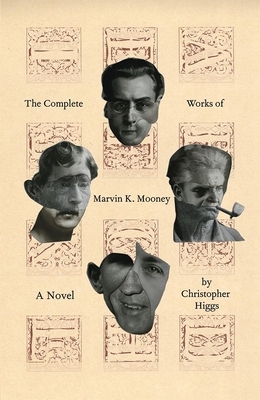 "The sheer greatness of Higgs' novel calls the capacity of the word greatness into question." Dennis Cooper. This is a playful, tender, intellectually challenging, funny, novel built from the collected works of the complex, irascible, and earnest Marvin K. Mooney, (Yes, named after the Dr. Seuss character.) that include speeches, short stories, quotes, meta fiction, meta meta fiction, and more. It's an experimental assemblage of narrative, philosophy, pathos, and humanity.